In the beginning of August, I had the chance to spend the afternoon at Adaptive Design Association, a spectacular non-for-profit located in Manhattan that focuses on creating custom adaptations for children with disabilities. I was taken around the facilities to learn more about the materials they use, the children that require their help, and how they design custom pieces for the children that they work with. My thesis seeks out to design products to work alongside the sessions that an occupational and/or physical therapist would conduct with the child. They would be products designed for the home environment; products that parents could use during play, mealtime, and other times throughout the day to help advance the work being done by the therapist. 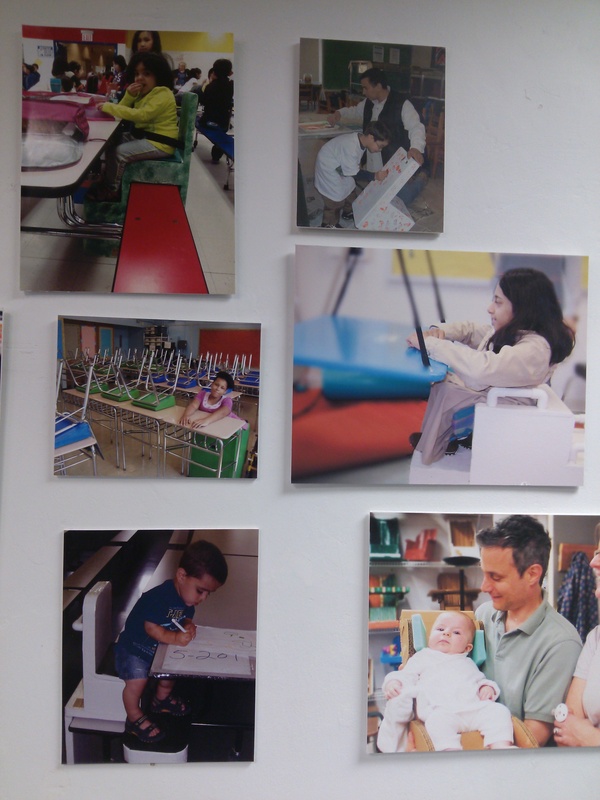 Adaptive Design Association designs custom pieces for individual children. For each piece, the designer works with the child’s therapists, usually the physical therapist, to figure out exactly what the child needs in order to help them with their physical development. 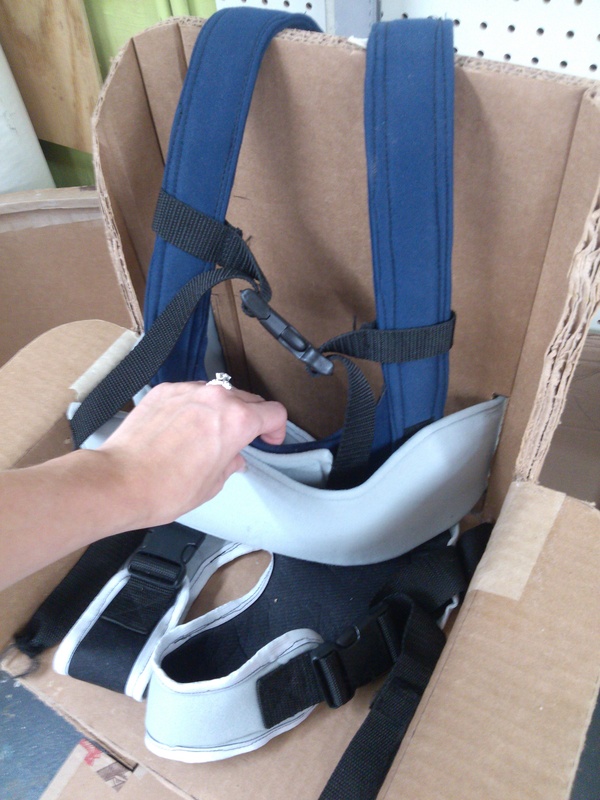 The custom pieces have very specific details, such as knee-blockers to prevent overextension outwards, head pillows to prop their head up and prevent them from having it faced downward due to lack of strength, and soft body straps to hold the child in place where it is necessary. All of their designs are made out of tri-wall, which is essentially layered cardboard that is low in cost yet sturdy enough to create long-lasting results. 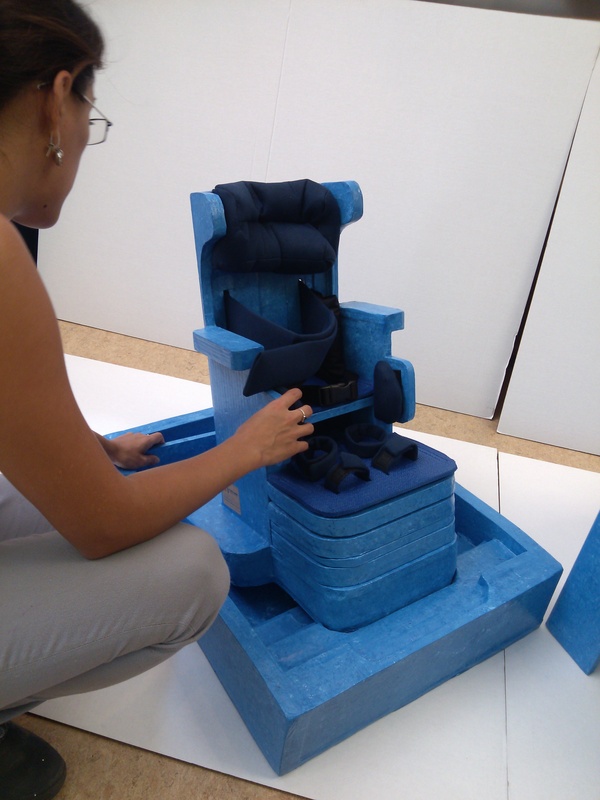 Rocio Alonso, an Adaptive Designer and Fabricator at ADA, told me that it is possible to add too many details to each product. She told me to remember that adding too much support will cause the child to become less likely to work on his own at all and he will not be able to advance at the expected pace. If there is too much help, the child will not be able to experiment with movements and try things out for himself. 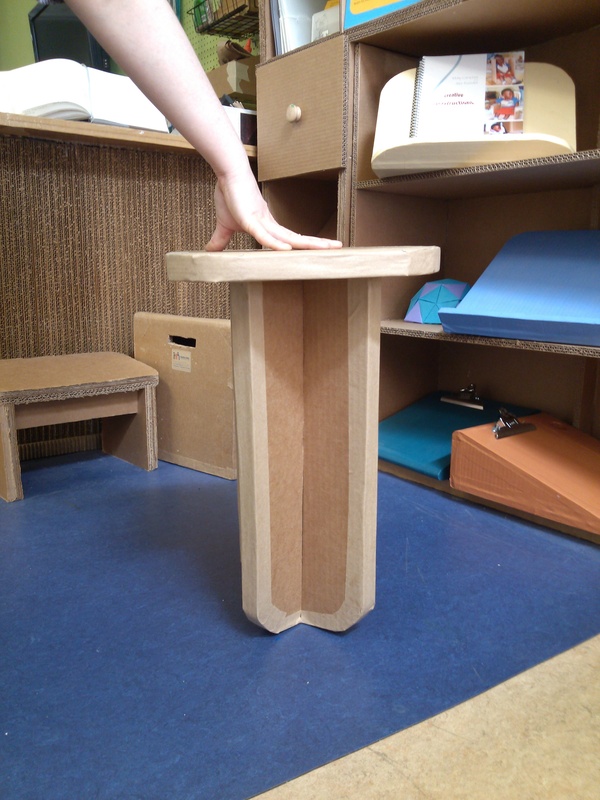 As I’ve already explained, ADA creates custom pieces catered toward individual childrens’ needs. With my project, mass production has to be taken into account. Therefore, I have the intentions of observing at least one child with hypotonia to help base my designs on, but then I will continue to carefully add on to those specific features in order to universalize the design for a much larger market with slightly less specific needs. A small chair designed to be adjustable with the child’s growth. Some of the many children that ADA has designed for. This entry was posted in Uncategorized and tagged adaptive design association, designing for children, non-for-profit organization by lianabeer. Bookmark the permalink.